Question 1 - What percentage of the introductory meetings you take with new vendors or partners today are done Face-to-Face vs Con-call/Web-meeting? Question 2 - Do you see an increase in the number of meetings taking place by Con-call/Web-meeting? Question 3 - Are these meetings satisfactory for the purposes of introductory discussions? Question 4 - Do you get more from a face-to-face meeting vs. a Con-call/Web-meeting? Question 5 - What does your company do when they need to initiate an introductory meeting with a prospect or partner? The data seems to show that Con-call/Web-meetings are becoming more common, and more acceptable as a way to start a business relationship. A strong indicator is the last question where the majority of respondents indicated that their own companies are moving towards more Con-call/Web-meetings. Con-call/Web-meetings have a higher rate of cancellation/reschedules/no-shows. This is just the nature of the commitment. It's easier to cancel or move a meeting when a prospect knows there are no plane tickets involved. For Con-call/Web-meetings there is a trend of delegating to lower-level staff prior to secondary/follow-on activity. 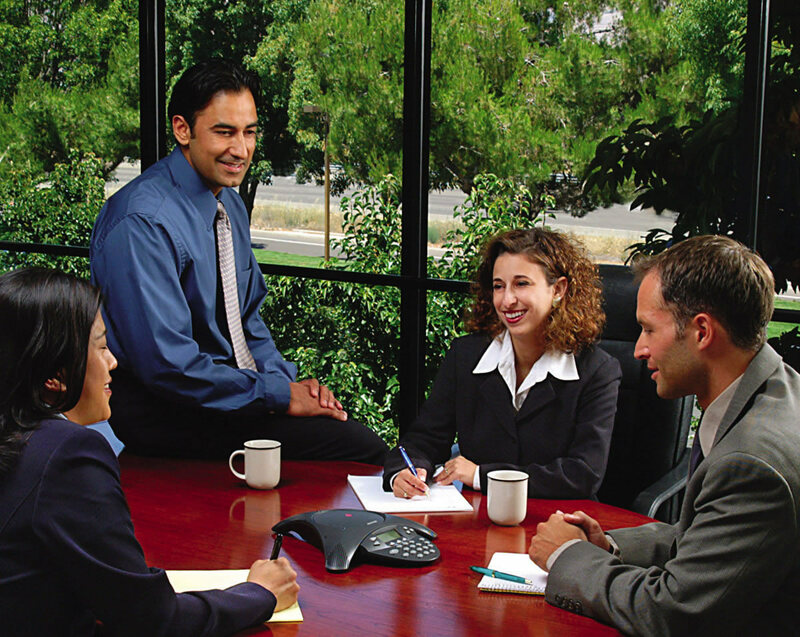 Con-call/Web-meetings must be treated as formally as a Face-to-Face meeting. A casual phone call is not appropriate. Setting up a bridge number, having an online presentation, and additional attendees (Applications Engineer, Manager, or other supporting attendees) can help improve the quality and acceptance of the meeting. Some prospect executives simply won't take face-to-face meetings. If the prospect is the proper target with the proper role, it is recommended that this be respected and a Con-call/Web-meeting take place. Face-to-Face meetings do still seem to have a higher level of success due to the personal commitment and interaction. When at all possible, do Face-to-Face meetings. Despite your preference for the style of meeting, be understanding when a prospect asks for one over the other. Unless there are travel/scheduling conflicts, we recommend abiding by the prospect's wishes. Make the goal of any introductory meeting to get a second meeting. Don't over-sell. In conclusion, if you want to have meetings 2.0, then take them any way your prospect wants them.